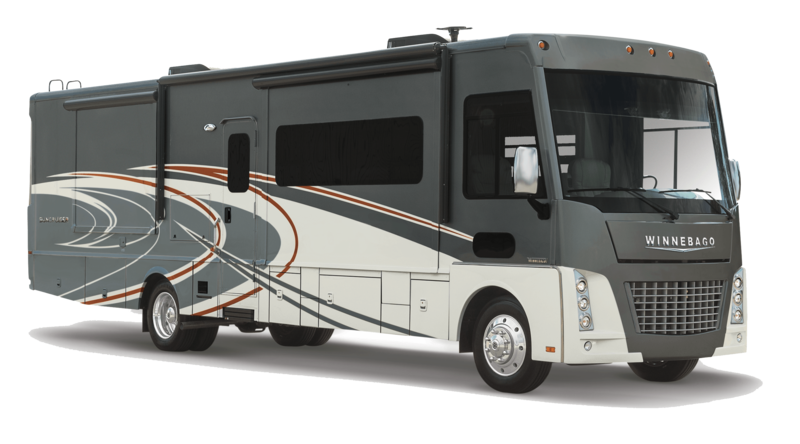 The Suncruiser from Itasca features some of the best amenities the RV world has to offer in a Call A gas motorhome. Suncruiser is designed to deliver diesel pusher performance in a Class A gas coach. Owners will love features like Corian countertops, powered king bed, Infotainment Center, powered patio awning and an available 100-watt solar panel battery charger. Exterior features include 6 new full-body color schemes to choose from, aluminum wheels and tons of storage.